This marriage is slightly tougher than O-101 and O-102 to obtain in AU and MS grades, but below AU there are many examples. An original, handsome piece with light silver-gray tinting throughout. 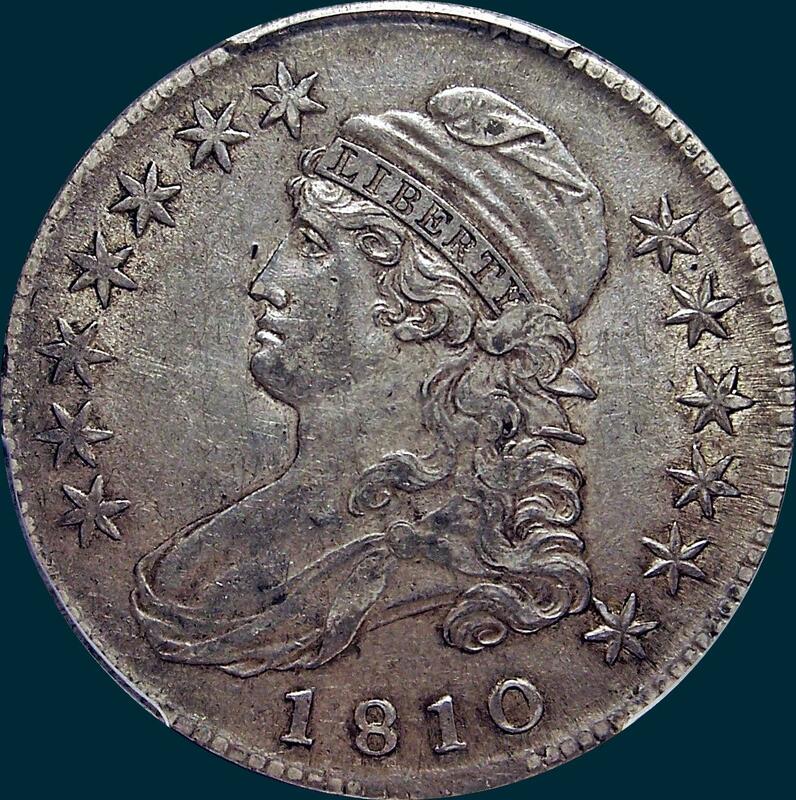 This coin has held up well despite having seen appreciable circulation, the overall definition bold and there being no individually mentionable abrasions save for a trivial obverse nick before Liberty's nose. Neat little view of the edge where one of the pinches is, revealing DOL then a faint Y (presumably from FIFTY). Variety Attribution: Obverse- Star 1 is 1 1/4 mm. from Drapery. Date is 10 1/4 mm. and low. Center dot on neck. Mouth open full depth. Star 13 nearly touches curl. 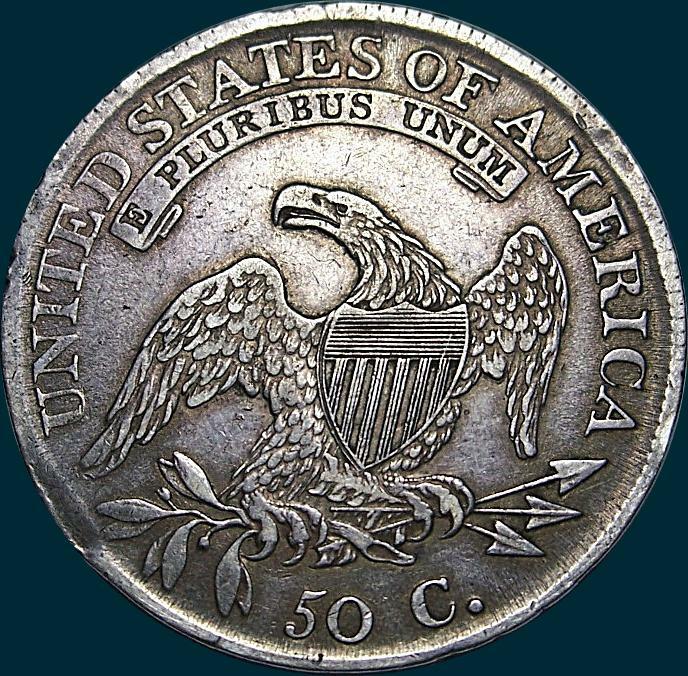 Reverse-50. C. is 2 mm. and low. RI nearly joined at base. Arrow to A is 1 mm. This reverse easily recognized from line 1 of stripe 6 through 6 and line 3 thoguth 3 crossbars. Many in this marriage exhibit very little or no milling whatsoever. Specimens with full milling are a Scarce R3, where without full milling R2. Coin above has full milling except for the guido pinches, while the coin below does not. What is a guido? Both coins on this page are considered guidos. A guido is a blank planchet that has gone through the edge lettering machine wrong. It did not make a complete revolution through the bar dies resulting in messed up edge lettering and pinches on the rim. 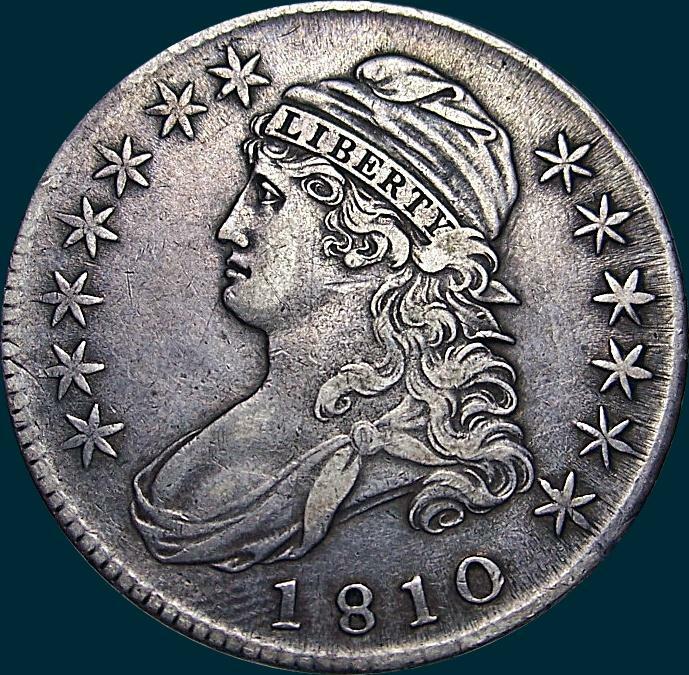 Damage to the coin appears in the form of pinches at the rim of the coin, typically 180 degrees apart. You can see this on both of these coins. This is not damage but rather an interesting quirk from the manufacturing process. 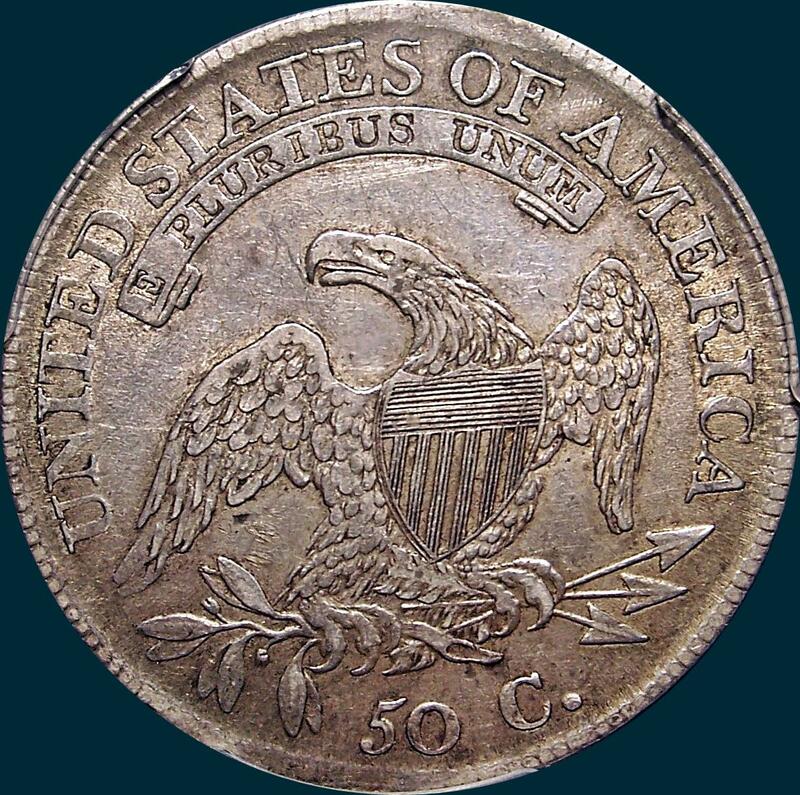 The below coin was purchased from Ed Richter a few years back as an XF45. It is cool that it is raw do to the guido pinches. See the edge pics below. The coin was lightly cleaned at one time but still retains some luster and even original surfaces. Where DOLTLY is, is one of the pinches. Here is the area where the second pinch is, and there is no lettering present here.